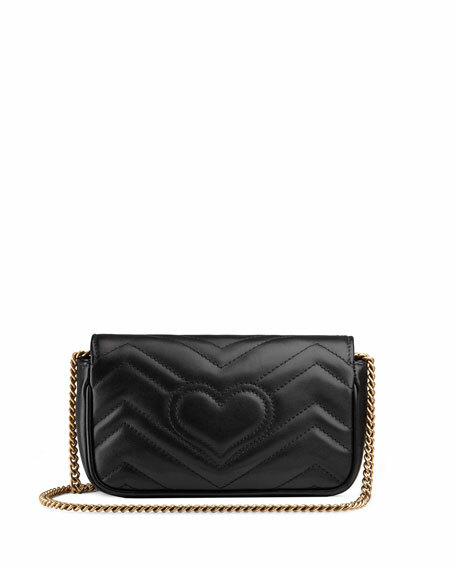 Gucci matelassé chevron leather shoulder bag. EXCLUSIVELY AT NEIMAN MARCUS Gucci "Marmont" velvet shoulder bag with floral embroidery and "XXV" Roman numerals. 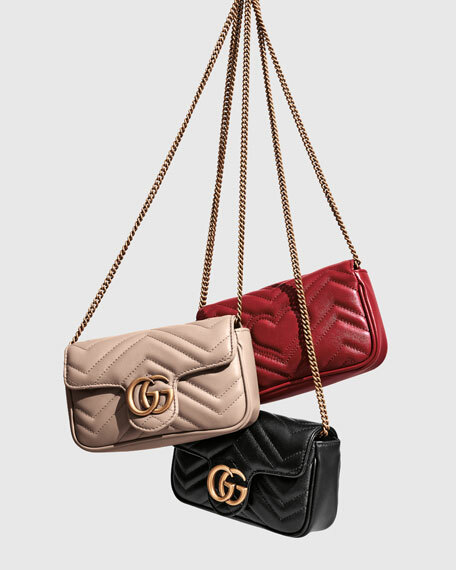 Flat leather and chain shoulder strap, 22" drop. Flap top with GG buckle. Inside, satin lining; zip and smart phone pockets. 7.5"H x 12.3"W x 2.8"D. Made in Italy.